They met and fell in love on Dancing with the Stars, so it’s no surprise that at Kym Johnson and Robert Herjavec‘s July 31 wedding, the dance floor was the place to be. Who would have had the time with surprises around every corner? First, Johnson revealed she’d secretly been rehearsing a dance number with a local Croatian group, a tribute to her groom’s native country. “It was the sweetest surprise,” says Herjavec, who also grooved to the tunes of the Gen8 band by Elan Artists. Then, at midnight, even celebrity guests like Donny Osmond, Daymond Johnand Lance Bass were wowed when Herjavec was joined in singing “Happy Birthday” to Johnson (she turns 40 on Thursday) by a very special star: Olivia Newton-John. Other personal touches abounded at the nuptials of Johnson and Herjavec, which were held at the Four Seasons hotel in Beverly Hills. Groomsmen wore rosemary sprigs in their lapels, a nod to Croatian tradition and Ceci New York designed a custom crest for the newlyweds, incorporating elements from their countries (Johnson is Australian; Herjavec grew up in Canada). 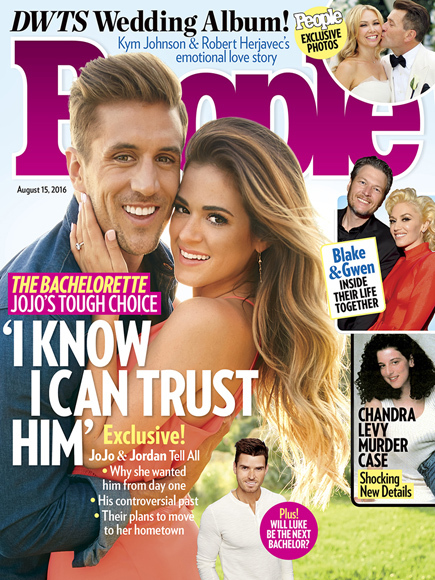 For more exclusive scoop and pictures from Kym Johnson and Robert Herjavec’s spectacular wedding, pick up this week’s issue of PEOPLE, on newsstands Friday. Rounding out the “modern and clean” reception, planned by celebrity wedding planner Michael Russo were white florals by The Bouqs that were designed by Seed Floral and favors at each seat – candles by Votivo. Johnson and Herjavec gave custom bags and valet trays from GiGi New York to the members of their bridal party, including Cheryl Burke and Carson Kressley. 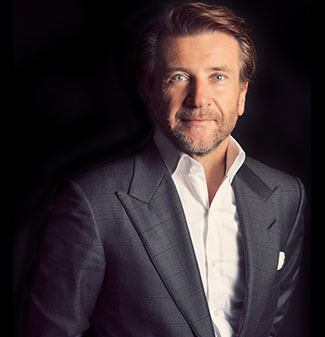 But easily the most touching moment of the day was when Herjavec, wearing Tom Ford, caught his first glimpse of his bride, wearing a Monique Lhuillier strapless gown as she walked down the aisle. After they read their handwritten vows and exchanged rose gold and diamond rings by jeweler Peter Marco, they were officially husband and wife.